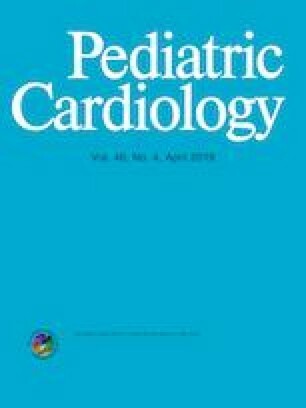 Children with myocarditis have increased risk of ventricular tachycardia (VT) due to myocardial inflammation and remodeling. There is currently no accepted method for VT risk stratification in this population. We hypothesized that personalized models developed from cardiac late gadolinium enhancement magnetic resonance imaging (LGE-MRI) could determine VT risk in patients with myocarditis using a previously-validated protocol. Personalized three-dimensional computational cardiac models were reconstructed from LGE-MRI scans of 12 patients diagnosed with myocarditis. Four patients with clinical VT and eight patients without VT were included in this retrospective analysis. In each model, we incorporated a personalized spatial distribution of fibrosis and myocardial fiber orientations. Then, VT inducibility was assessed in each model by pacing rapidly from 26 sites distributed throughout both ventricles. Sustained reentrant VT was induced from multiple pacing sites in all patients with clinical VT. In the eight patients without clinical VT, we were unable to induce sustained reentry in our simulations using rapid ventricular pacing. Application of our non-invasive approach in children with myocarditis has the potential to correctly identify those at risk for developing VT. The online version of this article ( https://doi.org/10.1007/s00246-019-02082-7) contains supplementary material, which is available to authorized users. National Institutes of Health Pioneer Award (DP1-HL123271) to N.A.T., a grant from the Leducq Foundation to N.A.T., and National Institutes of Health T32 Grant (T32-HL-125239-3) to M.J.C. N.A.T. holds partial ownership of CardioSolv Ablation Technologies LLC. The other authors declare that they have no conflict of interest.